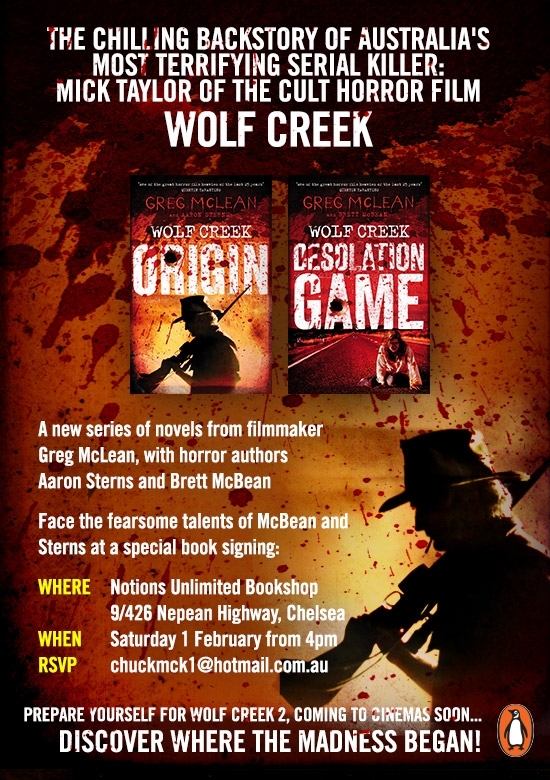 Aaron Sterns (writer of WOLF CREEK 2, and co-author, with Greg McLean, of WOLF CREEK : ORIGIN), and Brett McBean (co-author, with Greg McLean, of WOLF CREEK : DESOLATION GAME) will be signing copies of their respective novels in-store. Wine & Nibbles – plus some bloody surprises! – provided on the night. This will be a FREE event, but space is strictly limited, so do please contact us to book your place.